Unfortunately, this business plan is all too familiar. Entrepreneurs and visionary CEOs often get really excited about their products, particularly when they are ground-breaking, disruptive, or markedly better than anything else on the market. They come to the table with an expectation of the middle bit being sorted out by the quality of their products, and they look blank faced when we try to suggest that they need to create a plan. “This stuff sells itself” is not a marketing plan. There are complex forces at work, and you’re battling for attention of an audience that is easily distracted by the latest Game of Thrones episode or some wacky thing the President tweeted. It’s going to take work and if you want to make the most of the money you’re spending, you’re going to want a plan. So the middle part between “Great Product” and “Profit” is the most important thing to figure out. It is, I would argue, even more important than having a “Great Product” because a great product with no plan is going to fail against an okay product with a great plan. It doesn’t have to be complicated or necessarily intricate. It does have to be well thought out. You have to think about some if…then scenarios. You have to think about what you want to accomplish (goals/objectives) and you have to think about how you’re going to accomplish those goals. The more specific you get on defining goals, the more specific you can get on how to get to them. The trick is to think about your goals in terms other than “Profit”. There are usually several stepping-stones on your path to achievement, and those achievements add up to success and, yes, profit (hopefully). 1) Do you have an 18-24 month strategic map that crystalizes a vision everyone on your team understands/believes in? 2) Have you identified the 3 to 4 core obstacles in the market that you need to over come to meet your goals? 3) What are your tactics to overcome the initial launch obstacles? 4) Beyond revenue, how are you measuring success and tracking progress? 5) Who is the most important (and targeted) group of people for whom your product or service solves a fundamental problem? We’ve talked before about why you shouldn’t run a business without a good sense of your brand. So now we’re going to give you a peak behind the velvet curtain and into the highly complicated method that is at the beginning of that definition process. We play the game of 20 questions. More accurately, we use a set of 20 very specific questions that are designed to get underneath your brand. If you’re doing it right, these don’t have simple answers, and often times there are follow up questions or answers that unlock more questions. And to be fair, some of these are multi-level questions, so technically there are more than 20, but the extra ones are just clarification or follow up questions. Instead of giving away our highly coveted trade secrets, we’re going to give you a taste. You have to hire us to get the real thing. There are five general categories that these questions fall into: Purpose, Point of Difference, Core Offering, Competitors, and Customers. We like purpose-driven brands. We think they just work better and make more sense. Every business is supposed to make money, but we like pushing clients to define their underlying reasons for existing. Any company worth its salt stands for something – there are values that exist (or that are desired). And there is some kind of future the owner(s)/CEO has in mind. This section captures all of that. The next set of questions covers what makes the company, product, or service different or better than other people doing the same thing. It is not just important, but necessary, to define why someone might want to buy your widget over the 20 other widgets that seem to be the same. This could link back to Purpose, but generally there is some point of substantive difference we try to latch onto. This section may seem to make sense before Point of Difference, but we actually think the specifics of the product are less important than either the POD or the Purpose. It’s almost incidental – necessary for slotting in the right space, but not much beyond that. Next, we identify the competitive environment. We want to know who else is in the space and how they all rank out. This gives us some areas that we dig into later in research phases, but any answers we can glean from our client help. This section also looks into where the category is headed – beyond just the players – looking at trends and trajectories. Fundamental to everything we do is a really clear definition of the target. We need to know demographics and psychographics, here. Lot’s of clients want to target everyone, but the reality is their product appeals to someone specific – and it was designed to solve some specific problems (hopefully). We also think here about what success looks like – beyond mere revenue numbers. We want to know how we’re going to know that we’ve arrived. And that, believe it or not, gives us the snapshot we need to get started. It is an efficient use of our clients’ time and can be done live, over the phone, or even via email. The personality of craft breweries reflects the personality of the region they are from. During a recent audit of the craft brewery marketplace, we made two very interesting discoveries. First, we found out that many craft breweries are not doing a very great job of defining and presenting their brand identities. We thought we’d find brands absolutely dripping with personality, but in reality it was difficult to find the threads of a brand running throughout their identity. More on that in a future blog. The second thing we noticed is the subject of this blog – where we did find distinct brands, we found they took on the unique personality of the region where they lived. We pulled a smattering of examples to illustrate our point. This is by no means any kind of scientific study, but we found this to be a fascinating discovery and just wanted to share some of our observations. The Midwest is all about modesty and hard work. 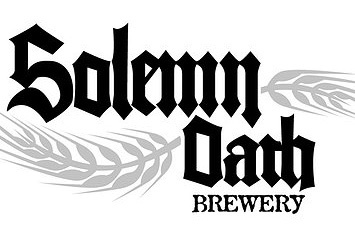 And down to their name, Solemn Oath is about making good beer. That’s it. No pretense. No claims that they are the best. They actually talk a lot about their own surprise at being successful, “we’re just as surprised as you are, guys.” The personality that comes through is very “aw shucks,” without seeming like anything was an accident. They earned their chops the hard way, working up from the lowest echelons of brewing, and that hard work has paid off. Everything about their brand is Midwestern, with just a little hint of their California roots peeking through. So along with their work ethic, they have a play-ethic and a laid-back, go with the flow sense about them (take a look at their beer list on the website and you’ll get a sense of what I mean). California is liberal and idealistic, full of big dreams and a bit of an anti-establishment streak. This not-so-small brewery in San Diego claims to be the 9th largest craft brewery in the U.S. and seeks to be a solution to what they call “industrial” beer. Like the organic food movement, which started in California, they are making something that exists beyond the status quo. They simultaneously declare they have mass production while eschewing industrialization. They strongly tout their reputation but also focus on being a purpose-driven company that finds sustainability and a good cause part of their worth. They are a great blend of California capable while being matter-of-fact about the speed of their growth. Texas is big and bold, but San Antonio, as the smallest big city, always has a sort of inferiority complex. Freetail matches that to a T. They definitely have the bragadociousness you’d expect from a brewery in Texas, but they temper it with a vocal humility, claiming they are not the “anything-est” beer. When you explore their brand, you get that slow, laid back Texas feel, mixed with a little bit of frenetic energy that comes from trying to keep up. Just like San Antonio, Freetail tries really hard to show you that they belong on the ranks of the best craft breweries in the country. When you think of New York, you think fast paced, a little rude and high strung, but really good at what they do. New Yorkers are characters, never short on personality or color. Rather than focusing on the founders’ working up the brewery ladder like Midwestern breweries do, these guys talk more about their colorful pasts and eclectic experiences that surely inform their beer making. Tradition is important, but so is pushing the boundaries of taste. “Beer is for people,” says their brewmaster, Garrett Oliver. Not gimmicky. 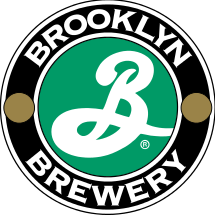 Brooklyn doesn’t talk about how great their beer is – they carry themselves with the knowledge that it is among the best, and instead of focusing on their success they instead just get to it. It is this go mentality (rather than the focus on work ethic) that makes them distinctively a New York brewery. The south is traditional and laid back but focused on family and fun. And New Orleans has a particular connection between history and modernity, of tradition and innovation. True to form, Urban South is welcoming and friendly and dripping with southern charm. They manage to tie together everything that NOLA stands for into one brand. Their beer selection is based on a mix of the qualities of New Orleans, each one taking on an aspect of a person or place that is true to the southern city: charming gentlemen, the church, nature, jazz, and architecture. It’s all in there. They let the beer do most of the talking, preferring to be good hosts rather than boasting about their awards or their skills or their success. They are just as much a part of the beer revolution as anyone else, they just don’t feel the need to bring it up in polite conversation. This is the first in what I hope becomes a series of podcast interviews with Graphic Design students about to enter the workforce. I also plan on doing a series with seasoned professionals and to document different perspectives on the industry. Hopefully it brings some insights to those entering the business, their expectations on their future in design, and those looking to hire new talent. This podcast episode is pilot and I have to admit we kinda winged this one due to work commitments taking up our prep time. That said, Joi was a great interview and an even better sport for being a part of this. Looking forward to developing this idea further. The working title is Conversations with Creatives and we’ll see if that sticks. Despite the word being out there and on just about every business leader’s lips, I am continually impressed by the near-universal lack of understanding of a) what a brand is and b) just how important brands are. It is an absolutely essential core element to the functioning of a business, yet it is not only misunderstood but sometimes whole-heartedly disregarded. Perhaps the problem comes from marketing wonks and academics who insist on using the proper terminology for things. Part of the confusion probably goes back to the original meaning of a brand – literally a mark that was burned into crates of goods (or cattle hides). That’s usually the first level of confusion we face. People think the brand is the logo. But I’m actually seeing less and less of that from people who have anything to do with business functions. The misconception still exists, for sure, but I think for the most part, it is not a hurdle you have to face with anyone with a little bit of business acumen. It is becoming more and more common for business leaders to actually understand that brand equals identity (though the word brand still seems to send CEOs running for the hills for some reason – maybe they’re afraid of the potential cost?). But although clients are making the connection between brand and identity, they still seem to lack a deep understanding of what brand and identity encompass and that their importance goes far beyond logos and pretty pictures and fluffy words. So let’s start with a definition. What is a brand? As I already said, your brand is your identity. But just like your own personal identity, the identity of your company is complicated. This is about communication, so we want to think about this in terms of signal and reception. There are active and passive signals, or if it is easier conscious and unconscious. And there are interpretations of those signals (reception). So your brand is how us marketing folks consolidate the sum total of all of those signals and interpretations. When we talk about “branding” we are talking about taking active control of the communication process. You have a brand whether you like it or not. You’re sending signals and your audience is receiving them whether they are intentional or not. What we brand strategists try to do is control the signals you’re sending so that they are consistent and are telling the story of your identity that you want them to be telling. Branding is another function of the company – like accounting. No one would let accounting just free flow and hope for the best, but for some reason, companies do just that with their brands. We’ll talk more about why CEOs and business leaders ignore and undermine their brands and marketing efforts in another article, but for now suffice it to say that it stems largely from the misunderstanding I just talked about. To explain why it is so critical to a smoothly functioning company, I have to explain a little bit about how we do it. There are two parts to it – the strategy and the execution. The strategy is about definitions. Before you can project your crafted identity into the marketplace, you need to design what you want it to look like. You have to craft it. So we go through a process of defining your company’s reason for being (mission), what you stand for (values), and where you are going (vision). We also define where you stand within the marketplace and how you relate to and differ from other similar companies out there (positioning). That’s the strategy part, in a nutshell (I’ll go into more detail about mission/vision/values and positioning in separate blogs). The execution part is how we bring the strategy to life. How do we tell the story of the brand? What are the words we use? What’s our tone of voice? How we are perceived is as much about how we talk as it is about what we talk about. We’re also a vain species, humans, and we’re judged by how we look, so we need to consider the visual execution as well. What does the brand look like? What are the colors that express your identity? And yes, what is your logo mark? There is an art and a science to both the strategy and the execution, but it is a careful and iterative “two-steps forward, one step back” process that we go through to arrive at the end result. When we’re one, we know who we are and how to show and tell that identity. That’s of course great (and necessary) for marketing efforts and allows you to have consistency. Your advertising/media plan provides repetition. So that covers your bases for marketing. But knowing who you are solves other problems you maybe didn’t even know you had. See, your brand, your identity, runs through all aspects of your business. Since this is describing who you are, it should inform your decision making process – everything should be passed through the brand filter with the question, “Does this decision fit with our brand identity?” In other words, does it help fulfill our mission, does it move us closer to our vision, and does it adhere to the values we’ve established. If not, maybe it’s not the right decision. Hiring: Knowing who you are and what you stand for helps you define the kinds of employees you want to hire. It helps ensure that the people you are hiring are like-minded. And it helps potential employees know what they are getting into. Cultural fit is so important in successful hiring, but if you haven’t defined your company culture, you can’t measure for a fit. Business Strategy: Every day, strategic decisions are made. Without the guidance system provided by your mission and vision, how do you evaluate these decisions? Some business decisions may make sense per se, but don’t fit with your brand or help you achieve your vision. Expansions: Where to expand, how quickly, and in what capacity can be clearer if you know where you stand in relation to your competition. And if you’ve defined that you’re focused on a certain population target, you can go where the people are – expand in their direction. M&A: Like expansions, mergers and acquisitions can (and should) be guided by your brand. You can avoid or pre-emptively address cultural differences more easily and save significant time and money by letting your brand provide guidance for M&A efforts. Associations (partners and suppliers): Associations can be powerful reinforcements of your brand. They can be extensions of your values in the marketplace and connect your company in a real way to the things that are important. Selecting the right partners and suppliers keep you aligned, avoid problems and misunderstandings, and ultimately saves you money. Corporate Responsibility: Similar to associations, knowing who you are as a company helps drive the type of corporate responsibility you get involved in. That makes your assistance more effective because you’re involved with things you truly care about. It also helps this become a win-win, because you can focus on corporate responsibility programs that reinforce your brand identity. To recap: Your brand is your company identity (not just your logo). Every company has a brand. Every company is sending messages about their identity all the time. The key is to take control of those messages and send the ones you want to send, with conscious understanding of how those messages are received and interpreted. And the way to do that is to go through a specific process that helps define the brand, the messages you want to send, and the audience who is receiving them. Finally, defining your brand not only helps make your marketing more efficient (better ROI) but also helps improve ROI across most if not all of your other business functions and processes. So the question I will leave you with is this: can you afford NOT to invest in a cohesive brand strategy?